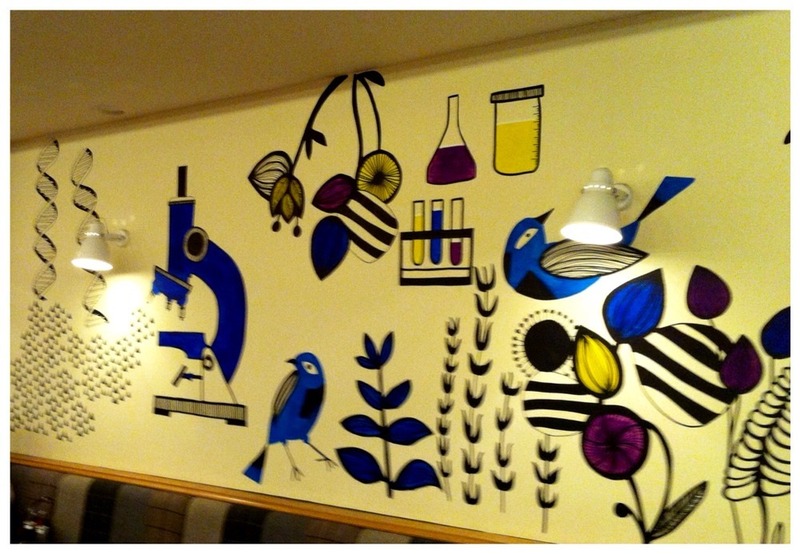 Zizzi’s Pizzeria in Bromley has gone for the science geek chic. Bookcases on one side and a life science mural on the other. 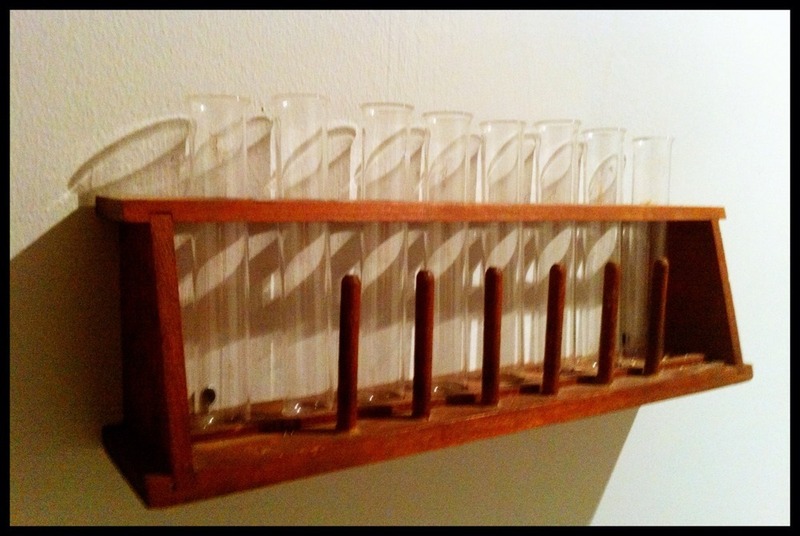 And, weirdly, racks of test tubes on the way to the loos.